Chance always looks like fate in the taillights. 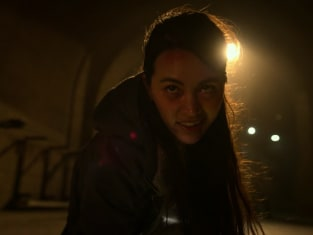 Iron Fist Season 2 Episode 10: "A Duel of Iron"
Permalink: Chance always looks like fate in the taillights. Walker: It's not over between us, Joy. Joy: Don't I get a say in that? Walker: That's one of the things I love most about you is your sense of humor. Permalink: That's one of the things I love most about you is your sense of humor.